The spring nozzle, also called bubble nozzle, is a kind of aerated nozzle, and it can absorb enough air when jetting water so as to make the water pattern look like white water hillock. Therefore, it can make use of less water to display large-scale waterscape. It is mainly made up of nozzle body, jet nozzle and air inlet pipe. Its nozzle body is a casting whose upper part is cylinder-shaped jetting mouth and bottom part is fitted with the lug of air inlet pipe. 1.Single nozzle and straight jet are designed for this spring nozzle. Its water column is glittering and translucent and its jet axis is adjustable within the range of ±10°. 2.Its installation height is flexible. 3.It can easily form preset patterns. 4.As it is spouting water, it will take into some air so as to form white water patterns mixed with some air. Established in 1984, Guangzhou Water Art Fountain Irrigation Garden Co., Ltd is a professional manufacturer of spring nozzle in China. In addition to spring nozzle, we still provide customers worldwide with music fountain, programmed animated fountain, garden fountain, square fountain, scenic fountain, artificial fog fountain (mist fountain), laser fountain, floating fountain, running fountain, wall fountain, waterfall feature, digital water curtain, indoor water fountain, direct jet nozzle, central upright fountain jet, morning glory nozzle, dandelion fountain nozzle, fog nozzle, fan nozzle, adjustable nozzle, water sphere and hemisphere nozzle, aerated nozzle, etc. We have built water features for Spring Festival Evening Gala of China, China Art Festival, and many other Chinese literature and art activities. And so far, we have set up long-term cooperation relationship with customers around the world, such as Malaysia, Brunei, Tajikistan, Saudi Arabia, UAE (United Arab Emirates), and many other countries in Central Asia and Southeast Asia. If you're interested in our spring nozzle, please contact us freely. 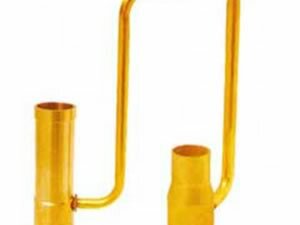 Direct Jet Nozzle The direct jet nozzle is mainly used in squares and other public places, and it is mainly made of casting copper and stainless steel.